Anyone who knows me knows that I love trees. This heritage Oak, for example. It has probably been living on that spot for 100 years or more. 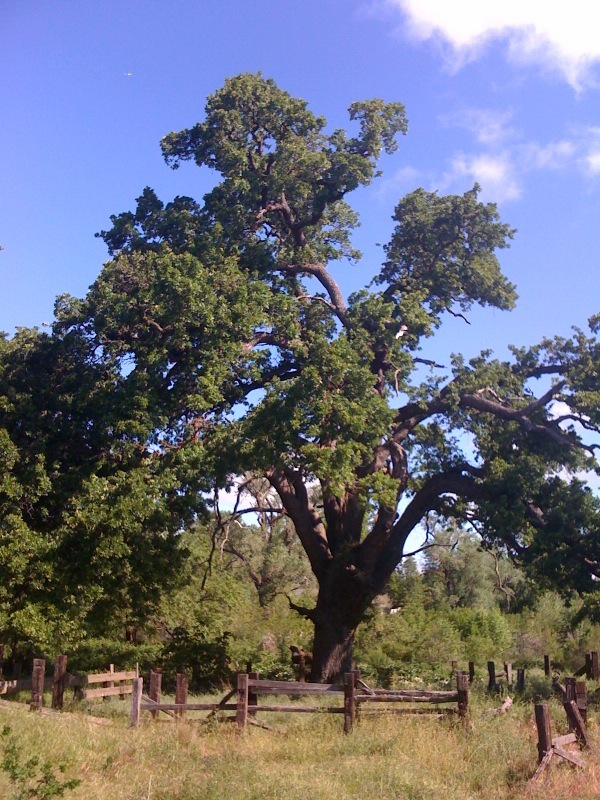 Notice that the ranch fencing, which was constructed long ago, was built around the tree. Wouldn’t you love to know who those ranchers were and what their lives were like? Trees withstand it all, or most of it. If only they could talk. I’ve taken a million pictures of trees. My hope has been that I could learn how to paint them, or at least sketch them. I can’t. 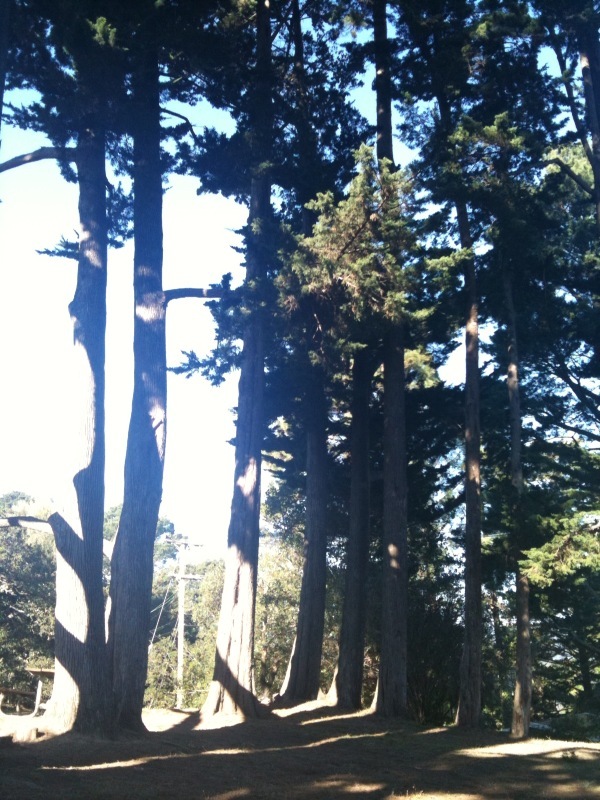 These are old pine trees in Mill Valley where I grew up. All my life I’ve referred to them as the Circle of Trees. I spent my childhood years, with my sister, building stairways out of old boards and Dad’s nails, up those strong old trunks. I used to lay down, spread out across their wide branches, and let the wind gently rock me back and forth — just figured out that the wide branches were much lower to the ground fifty years ago! Ha! We used to collect the pine needles that dropped to the ground. Over time, they would mulch, and we would scoop up big piles of them and make pine needle igloos. We would then collect pine cones — and then, war! Ah! Those were the good ol’ days! How we didn’t accidentally kill each other, I have no idea. The Circle of Trees is still there. 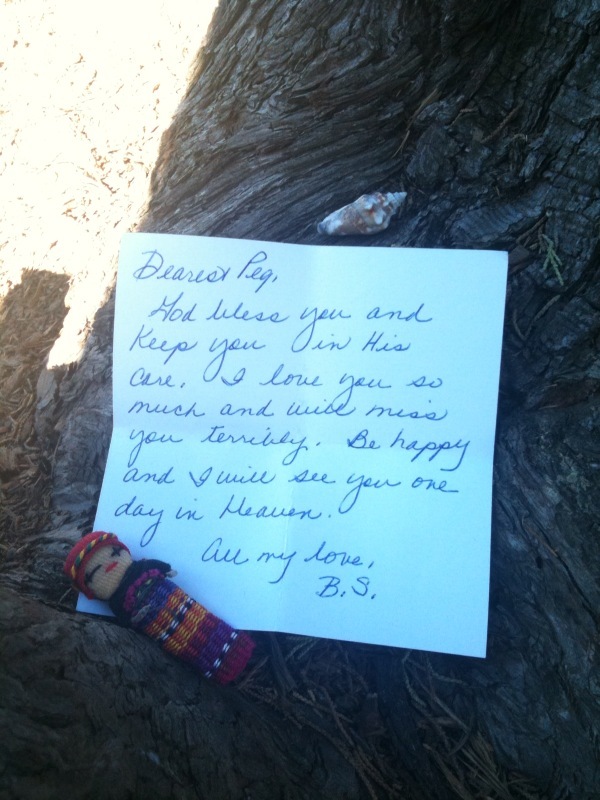 I went back to find them a few months ago, and said goodbye to my sister there. This was the best place. This was as close to Heaven as I could find. Don’t be sad for me. This was a good day. When I look back at this now, I’m so thrilled that the Circle of Trees withstood it all and was right there waiting for us to return. I wonder if those trees remember the good old days. I hope so. This entry was posted in Uncategorized and tagged childhood, death, faith, good old days, hope, inspiration, life, love, memories, sisters, trees. Bookmark the permalink.